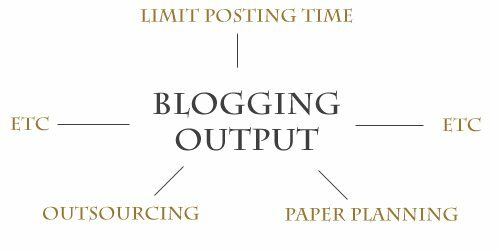 If you want to succeed at blogging you need to increase your output. It doesn’t have to be a lot of posts per say, but you do have to hit certain levels of work production. And blogging is not just writing posts. It is researching keywords and topics, editing, tweeting, commenting and so on. There are a lot of things to get to. In this post I’m going to talk about a few strategies I have used over the years to skyrocket my blogging output. 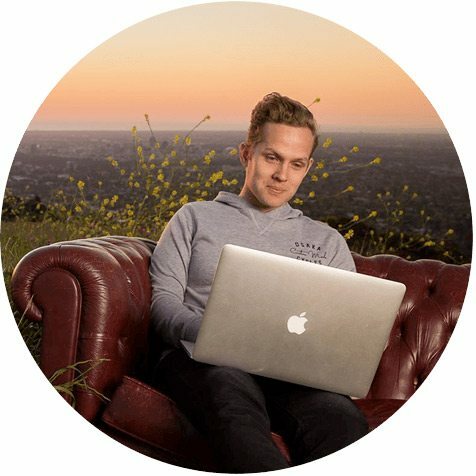 Some of these tips helped me to sell a blog for $20,000 in the first year. Many many years ago I heard Darren Rowse say that when he was first giving professional blogging a try he would write between 15 and 30 posts in a day. One day! That is an enormous level of output. And it got me thinking about all the people who say they have tried everything but only put up one 500 word post per week. And here is Darren doing 30 a day! The results of this effort a clear – Darren now has the biggest site in the world for the blogging niche and the biggest site in the world for digital photographers. And he’s rich. Whatever it is you want to achieve in life you will have to increase your output at some stage. You can do it in several different ways but, in the end, there is no escaping the need to escalate what it is that you do. Here are some strategies I have used myself or seen other successful bloggers using over the years. Not all of them will resonate with you and as such its important to find out what works and what doesn’t. When you are in the writing zone you should pump out as many posts as you can, even if you stay up til 3am in the morning. Why? Because it gets really really hard to find the zone as you go on in your career. Moments of literary inspiration become harder and harder to find and so when you finally find yourself there you should go totally crazy and create as much content as your brain will allow. The second part is to learn to write when you aren’t feeling it. This is the disciplined part that Darren obviously found a way around. There is no way you can stay motivated for 30 posts a day – you just have to force yourself to do it. And if you can write when its tough, you will have no troubles when the ideas are flowing. Unless you write for a niche that is personal and intimate you should be outsourcing blogging work as soon as you can. This is the best way to maximize the amount of work that you can produce. So how does outsourcing work? Quite simple really. You go on to a site like Elance and put up an add for an experienced blogger who has lots of past work to show you. You then pay them on a per word or per article basis to write about topics that you send them. how much to pay them per word for the quality of writing they produce? how often you want them to write? what you want them to write about? how is the content going to be delivered, reviewed and published? what keyword density and length do you want the articles? Putting a certain amount of your income towards hiring writers is an extremely good idea, especially if you want your new blog to become big and influential in a hurry. This is something I discovered a long time ago and actually does really well with both regular human readers and search engine spiders. One of the ways I produced more content was by learning to break things down into smaller micro topics. Here’s how it works. Let’s say you have a blog about horse riding. Most of your long and detailed posts are about things directly related to horse riding itself. But for the smaller posts you can start to explore sub topics like the horses eyes and teeth health, reviews of horse riding products, the best places for horse riding, etc. You can then break it down further and have other posts about the biology of a horses eye and how the nutrition works, interviews and so on with people who make horse riding products, etc. This post, for example, could be broken down into several smaller posts – each point in this list could warrant its own explanation in post format. Paper still works best for me when it comes to planning and recording ideas. I have a little pad that I keep on my desk and whenever I have even the vaguest idea for a post I write it down. In just a week you can come up with a whole year’s worth of blog post ideas or ideas for new blogs and ventures. When doing this you have to make sure you write down everything you think of and straight away. These unformulated ideas often get forgotten and often times a really weak thought turns in to a really strong post. I like to draw the idea in the middle and then sub-ideas as branches shooting off from the center. This allows me to plan out the structure of a blog post or series in about 10 seconds flat. After that I just write. This little trick might seem counter productive at first but it really works. What you need to do is set your writing time to something short like 30 minutes. In that time you need to write a full blog post without going over at all. The reason this is good is because it forces you to be efficient. It stops you from checking Facebook or Youtube and it teaches you to type fast and edit ideas as you go. Most of the articles here on Blog Tyrant have been written in 20 to 40 minutes. By talking about it beforehand they can get a reading on how strong the reception is going to be. By talking to other people who do what you do you can often get new ideas for your post. For example, if I was to post a Tweet saying, “Tell me the one thing that makes your blogging output skyrocket” I would get some really good suggestions, many of which I might have forgotten or not known. You have to do this skillfully, however, as you might end up giving too much away or over killing the subject matter by the time your post comes out. As always, I would really love to hear from you in the comments section. Tell me what strategies help to boost your blogging output and whether or not you constantly stick to them and as such see a difference in your earnings. I am very interested to hear what the Blog Tyrant community does to boost productivity. Great post. I really agree with the 6 steps you’ve shared. Though I’ve been doing some like writing my ideas on paper but I’ll look into others. Long time no comment but I’ve been reading everything you write. A very very timely post as I’ve been very caught up with offline life [earning money to move me and Coco dog back to live in Oz by Feb 29 2012 and doing big edits on the LD Expedition] and haven’t posted on my LD blog for a while. I’ve been writing down ideas and just this morning had decided to block in time on my diary [30 minutes] to write the posts. The time specific idea was the one that sparkled for me. I let myself get into the mindset that’s all about ‘it’ll take too much time to write so I won’t do anything’. Changing that to ‘how much fab content can I write in 30 minutes’ – a great challenge that’s more motivating and productive. Remember how you commented ages ago that our blog site was too dark? A friend said to me the other day that she loves the writing but she felt like she’d fallen into a biker bar on the front page! Loved that. We’ll be changing to a lighter background real soon. Hope all is good for you in sunny Oz. I’ll be your neighbour soon. Good move with the color! This is a great post, BT. I still think that it’s extremely difficult to reach Darren Rowse’s productivity levels. But I agree that producing as much content as you can is one the keys (I gotta work hard on this). Yeah, Darren is a machine. Oh btw, you should write a post with practical tips about researching keywords and topics for a blog. I’ve read tips like these several times but I never managed to apply them to my case. On my blog I write photography tutorial and reviews which are around 1000 words each and sometimes more. Since a tutorial is not a news, I have to carefully craft each statement. People appreciate my writing because it makes concepts easy to understand. For these reasons I am not able to write a blog post in less than 2 ours, including finding images, SEO, tags and so on. What average length were Darren’s 30 posts? Do you think there is a way to shorten writing time for 1000+ words posts? I find I work the fastest when I first write an outline for my article. Then, I know what specific research I need to do. After that, writing is just filling the the outline. My time tends to run 2 hours but I’ve written posts in 20 minutes – just depends on the article length and the level of research required. I write in a technical field so I have to be spot-on. If you really know what you want to say then it flows best. I reckon by the time you write the post you should have it all sorted in your head or on paper. #6 is an idea I’d like to try. I have a post brewing in my head but I know it’s going to take me a long time to write, so I’m avoiding it. If I just start and plan to write for only 30 minutes, I’m sure I would surprise myself. Thanks for the ideas. It was all good. I really like the bit about putting pen to paper, but I totally disagree with points 1 and 6. Point 1: Unless you’re writing over the weekend, staying up until 3am is counterproductive. If you can’t sleep in the next morning, you’re shorting yourself on sleep, which has been proven to damage your health, weight and the next day’s productivity. All-nighters also usually produce poorly written posts that take longer to edit. When you’re on a roll, I would say to outline a block of posts in WordPress and get to bed by a semi-reasonable hour. Point 6: I fully believe there’s a difference between being a writer and being an internet marketer. Slapping together a post in a half hour is part of what makes up this difference. While writing in short bursts of time like this can help boost creativity, it cannot form a fully polished post. It also doesn’t work well for lengthier, meatier posts. I sincerely hope you meant that pearl of advice with the caveat that one should go back and edit their 30-minute “first draft” the following day, prior to posting. In case no one realizes this, readers CAN tell when a post is slapped together because of the sheer number of typos and structural errors to the writing. Piper, piper, piper I mean. Sorry, I’m not saying you rant. I am all for polished posts and correct grammar but I am also for a very informal and conversational style post. I really should spend more time editing. Hey, definitely been a while since I’ve posted! Being in the zone and writing then is a big thing. Also, it’s having ideas. One thing I’ve found with ideas is that I can revisit an idea but then blank out on the details I had when I can up with the idea. Then I’m trying to figure out a spin on it so it’s worth reading. Coming up with ideas usually comes after writing an article. I’ve found the most success when I take note of the idea and write down a bunch of thoughts around that idea. I might even note some links I came across that would be good when I was doing research for another article. The problem with ideas is capturing them before you forget and then managing them. I found a solution. Well, better yet, I create a solution. I took all the components of idea management and created a wordpress plug-in. I can add an idea with all the details within my wordpress site. I can do it with a menu click in the dashboard or I can use my brain when it’s at its creative peak and add a bunch of ideas at the end of my “add post/page” screen. I can assign a priority, and even assign to another author on my site if I desire. Then I took it one step further. Looking at all the great stuff from problogger and copyblogger, I created article templates. Templates are for top-ten, how-to, etc. And they are laid out in a way that readers love. This way, with idea in hand, just pick a template and start filling in the sections. For example, a how-to template would contain sections for an introduction which discusses common problems that would lead a person to want the how-to article. a section on outlining the steps, taking the steps, and summarizing the steps. Also, a section on common issues that come up in the how-to process. Whenever I need an article idea, I go to the idea management section, pick the idea, click to create the article and it populates with the template and all my idea notes. In case I need an idea, I have a process to automatically create article titles based on the word I enter or from my site tags. I certainly agree with the efficiency. I use the pomodoro technique for all online work. It seperates all tasks into 25 minute blocks for exactly that reason. A longer post might be two time blocks, but the effect is the same: focus. I think frequency of posting can sometimes be contingent on quality. For instance I notice YOU don’t publich frequently; but the posts are always quality. ON my blog I used to post daily but now 2-3 times a week. When I do though, I try to have them be in depth and actionable. For those who simply cannot find the time though, I agree. It is not a problem of “time” to write. It is a matter of priortity. Never heard of that method Steve but it sounds good. Just the kind of injection of blog spirit I need right now. Love the idea of micro topics. Great post. Need to outsource some of my post to up the output. Yep. Get on it Raj. #1. Start to take note of WHEN you are in the zone. Unfortunately for me, it seems like I get my best ideas from 10 p.m. onwards. Once you know when you’re most inspired, schedule yourself to write at that time. That way, you won’t waste hours trying to write at the wrong time. #3. One big way to set the stage for outsourcing is to not name your site after yourself, e.g. JohnChow.com. You shared this golden piece of advice in one of your podcasts. So if I was writing about gardening, I wouldn’t call my blog “Marcus’ Gardening Tips.” That would make it harder to bring in other writers later on. The audience is primed to only listen to me. If I called my blog “Awesome Gardening Tips,” I don’t make the audience expect a particular author. I think the best source for writers isn’t Elance, but forums in your niche. Part of good blogging is participating in the community. Continuing the example, you’d find much better writers on a gardening discussion board than Elance. They’re likely to be more enthusiastic about the subject and more knowledgeable. If you discover that they have their own blogs and write well, it’s an easy decision to hire them. Another method is hiring your fans. Sonia Simone once said in a podcast that she was just a fangirl who loved posting in the Copyblogger comments, until Brian Clark spotted her talent and hired her as to be an editor. Now she’s a partner in Copyblogger Media. #4 and #5. A couple of my favorite bloggers, like Pat Flynn at Smart Passive Income, have touted the benefits of mind-mapping software to organize your ideas. I’m usually a pen-and-notebook kind of guy. However, I’ve been trying out Xmind (http://www.xmind.net), a great program that’s available for Windows, Mac, and Linux. They have a free and paid version. The free version is robust enough for most people. Especially for #4, Xmind has been great for “drilling down” a niche into more micro-topics. Although for testing out headlines and other ideas, I’d rather hand-write them. To each their own. #6. Hmm, I haven’t tried testing ideas on Twitter. One thing I like to do is visit discussion forums and see which questions come up again and again. Then I write posts that really answer those question in depth. For example, I’m active in a travel bloggers group. All the time, people ask about good web hosts. Back when I looking for a web hosting company, I spent a lot of time reading reviews on webhostingtalk.com and comparing different providers. So I wrote a long post titled “Good web hosting companies.” I named quality providers, described signs of good and bad web hosts, and arranged them according to shared plans, virtual private servers (VPS), and dedicated servers. The users loved it and I got lots of positive feedback. When I saw many people complaining about how slow their sites loaded, I did it again. I wrote a post called “How to speed up your WordPress site.” Like last time, I generated a lot of goodwill and started to be seen as an authority. Although I don’t consider myself a WordPress expert yet. Keep up the great work, Blog Tyrant! Fantastic comment. Absolutely love it! Glad you enjoyed it! Always glad to be helpful. This is a good post, I wish I had read it a few months ago! Now, I have no trouble being productive… I tend to write thousands of words every week. The main problem I have is actually finishing and publishing stuff which always takes ages for me! Part perfectionism, part something else I’m not sure about. But I get out at least one post a week at the moment and will be upping that to two pretty soon. You mean you spend too much time editing? Yeah editing always takes me far longer than the actual writing. But also I tend to get to 95% complete on something and then my motivation drops significantly. It’s something I’m working on! I can sometimes write a blog post in a half an hour if and this is a big if I have been rolling it around in my head for a few days. Real Estate is not an area where blog posts write themselves in a half hour long because of research and quality of content. Great post…thanks, I will put some of these ideas into practice! Just checking out your comment redirect page. Except for tip 3-outsourcing, I’m going to try all the rest. I had not thought about limiting the time to write but I believe you’re spot on, it would force efficiency and keep one from wasting time. Thanks for the practical tips.